It's no secret that each season different pieces and prints resurface as trends many have their eye on to style. That being said - leather fashion pieces are no exception. Leather (or Faux!) 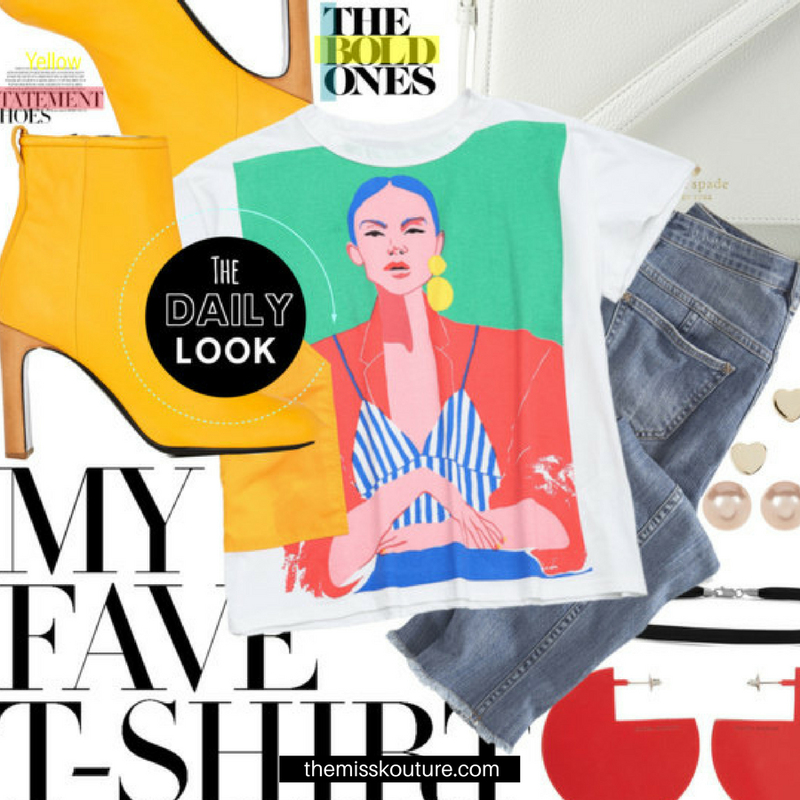 fashion pieces are such bold, timeless, and classic transitional components to any look that you can style from fall to spring oh so effortlessly. 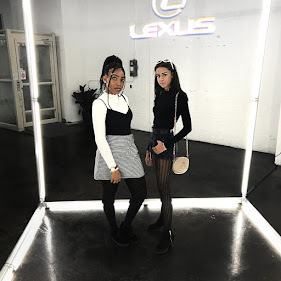 One of the beautiful things about fashion is the ability to experiment with our personal styles and style clothing pieces in unique ways that speak to our personal style. Each of us has our own personal style and when experimenting with fashion we tend to cater to that. Leather fashion pieces are classic fashion items that can be styled in so many different ways and who doesn't love a little style inspiration? 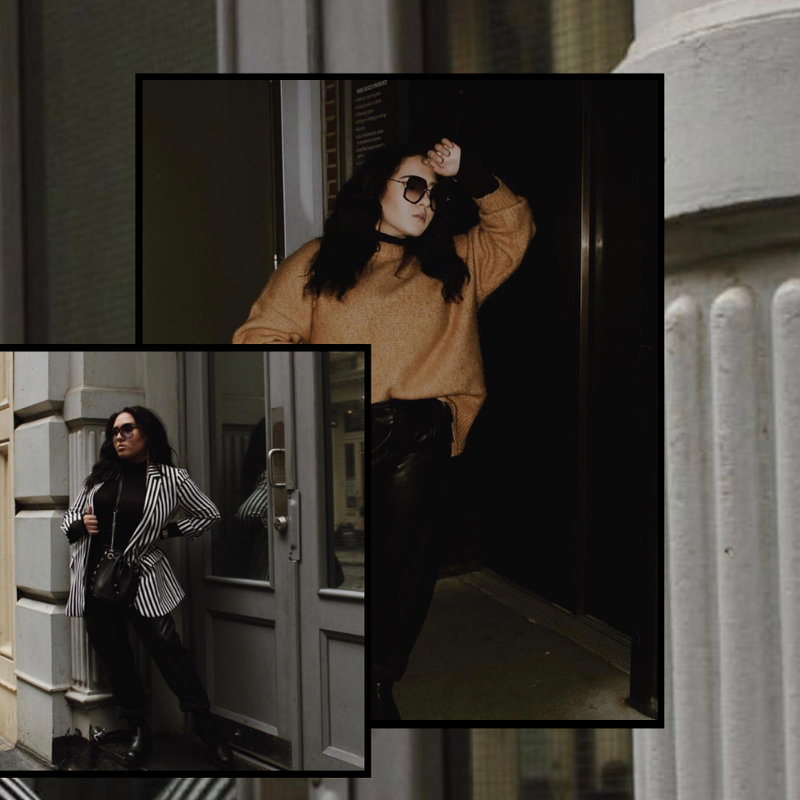 So, my friends and I decided to bring just that to you - a style lookbook that holds a curated set of different personal styles and style inspiration to help you style your favorite leather pieces! 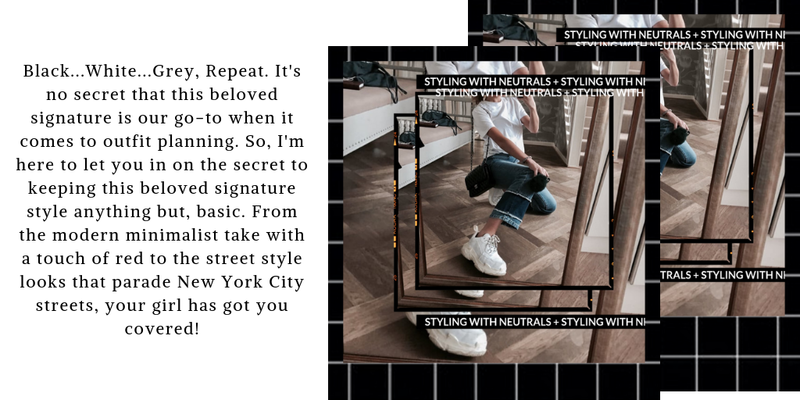 My personal style is very '90s vintage-inspired, with a minimalist meets contemporary look. I love to find ways to pair contemporary clothing pieces with vintage classics into one cohesive look. 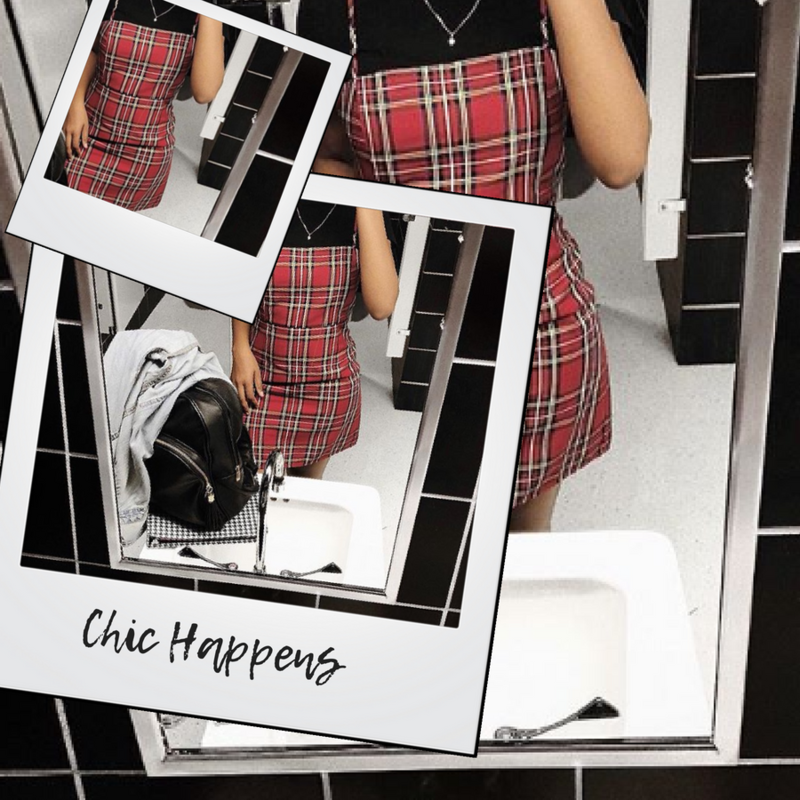 I'm most drawn to 90s vintage style, a chic plaid or checkered print, neutrals, a '60s classic...the houndstooth print, layering pieces, leopard print, minimal gold jewelry, and pops of yellow, red, and blush pinks. So, when it came to styling this final look, it really was just a matter of selecting pieces that I'm naturally drawn to, like this classic leopard print slip dress and Worthington leather coat. The outfit itself was very '90s inspired and really showcases that cohesive mix between a contemporary look and '90s vintage style. I'm so down to add pops of color to my outfits from time to time but, for this specific look, I kept it very neutral. 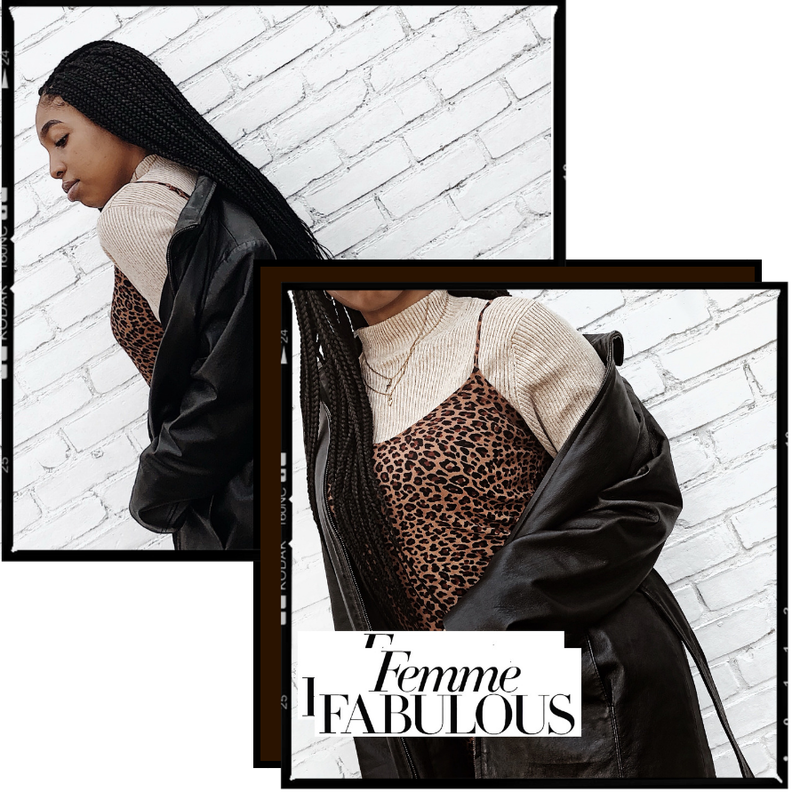 The thing is, that though this outfit is neutral - the leather jacket and leopard print slip dress really elevate the look. Animal-print pieces are one of the best subtle statement pieces to incorporate into your looks. Though my look is on the neutral side, I decided to create this layered look with the leopard slip dress over a tan toned turtleneck. Then, there's the leather jacket which I feel completes this layered look in the best way with the mixture and balance between different textures and prints. If your style is very vintage inspired, both of Tiziana's outfits showcases the perfect way to style some of your favorite vintage pieces. There is this perfect balance between her personal style, the color palette in each outfit, and the accessorizing. Accessorizing is essential to amping up any of your outfits when styling. 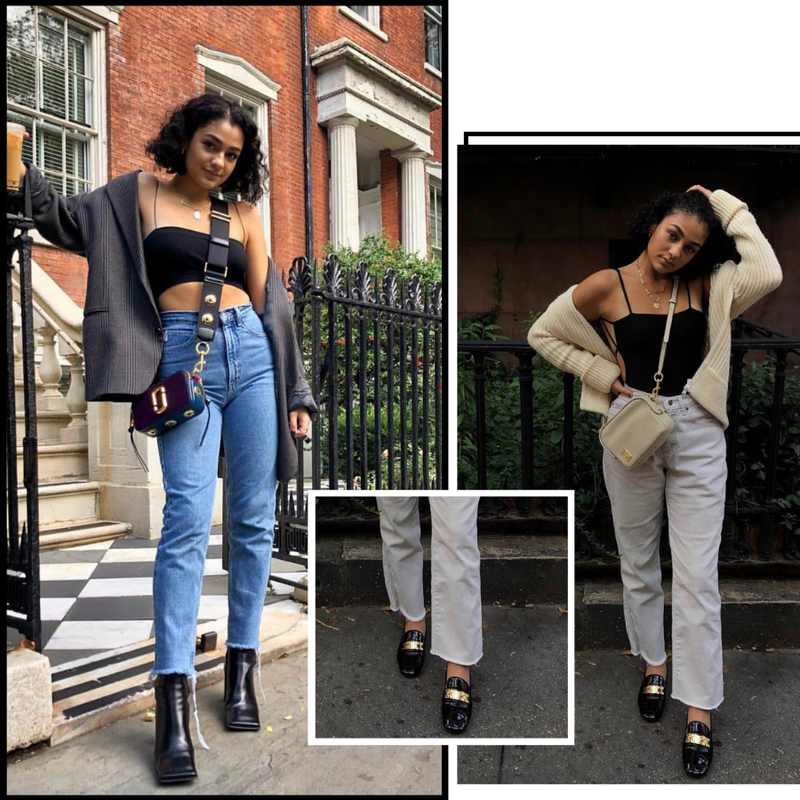 In both these outfits, you have classic boot styles of the '90s from the leather square toe boot to the patent leather loafers that add that vintage touch to her looks. 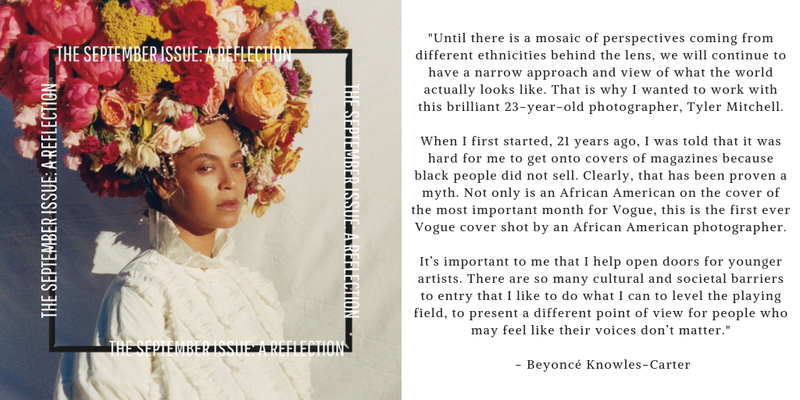 "Believe it or not, I’m very chic with a masculine touch. I love button downs and boyfriend jeans with like an oversized blazer. Very Fem-Masculine. However, my dire need to experiment draws me into streetwear. I love mixing streetwear elements into my wardrobe especially the accessories like a good chest rig or some cool sneakers. I came to the final conclusion of my outfit after my friend said she was wearing her Helmut Lang hoodie. I was like “oh it’s that type of night”. So I threw on some DKNY workwear boots and my @Soltaunyc chest rig. We were going to go eat some Korean street food and get some beer. The outfit spoke for itself. Madelyn's overall look demonstrates the perfect balance between styling streetwear and classic pieces. 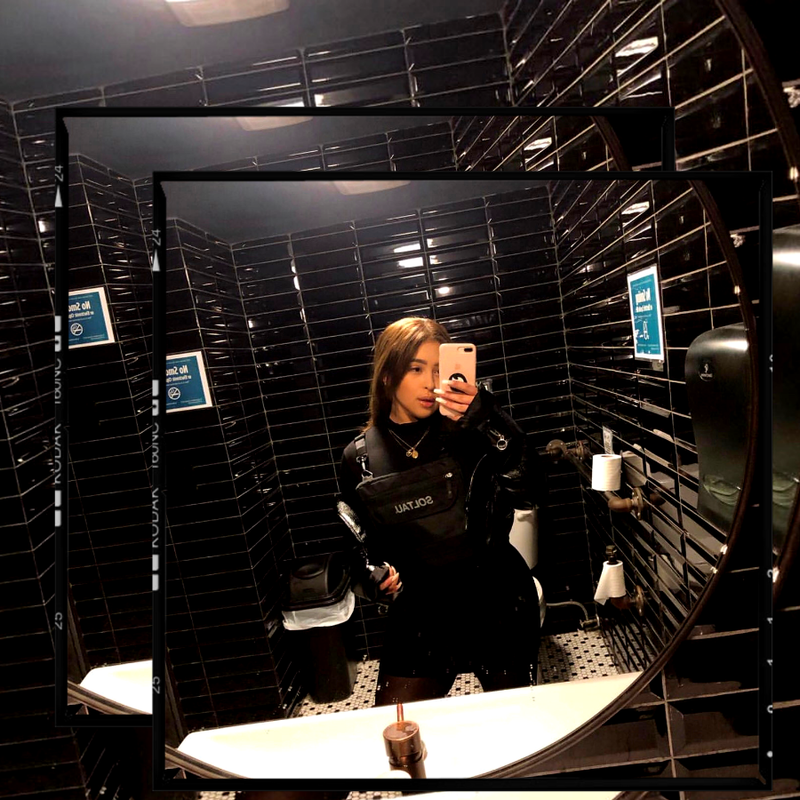 The Soltaunyc chest rig is a statement piece that she decided to incorporate into her layered look that brings out that unique streetwear vibe in her personal style. To complete her look the cropped faux leather jacket was a great final touch. Statement coats and jackets are such an effortless way to bring your outfit to the next level. Depending on the style of your outerwear, you can throw it on over your outfit and add that pop of color it needs, play with contrasting layers, or bring out a unique and flattering silhouette. As Yasmeen just expressed, leather fashion pieces are a great add-on to any outfit to give it an edgy personal touch. 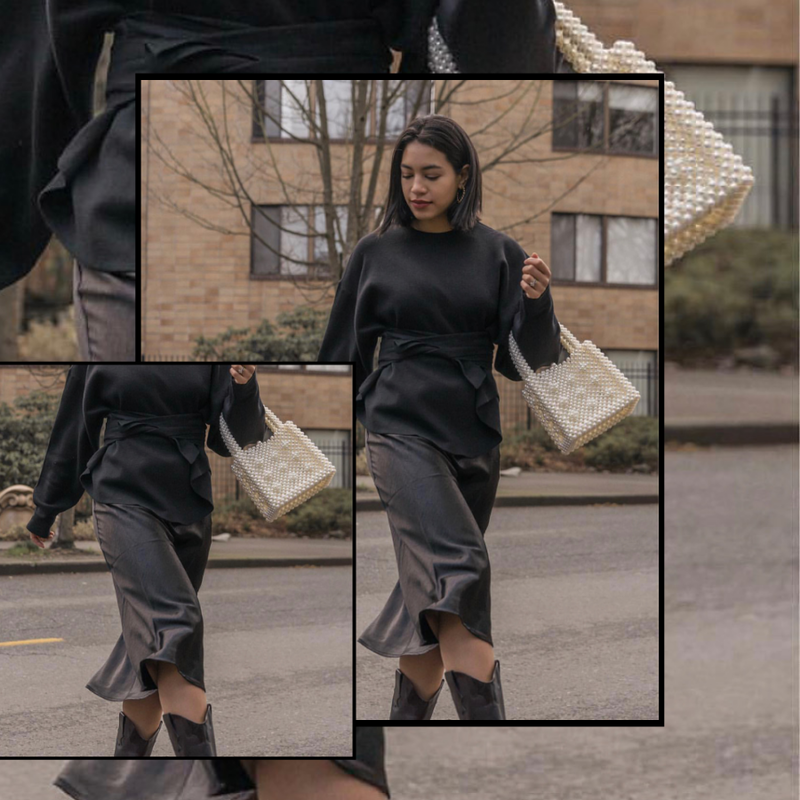 Yasmeen's outfit showcases how to effectively style classic statement pieces, like a patent leather skirt, to fit your personal style. 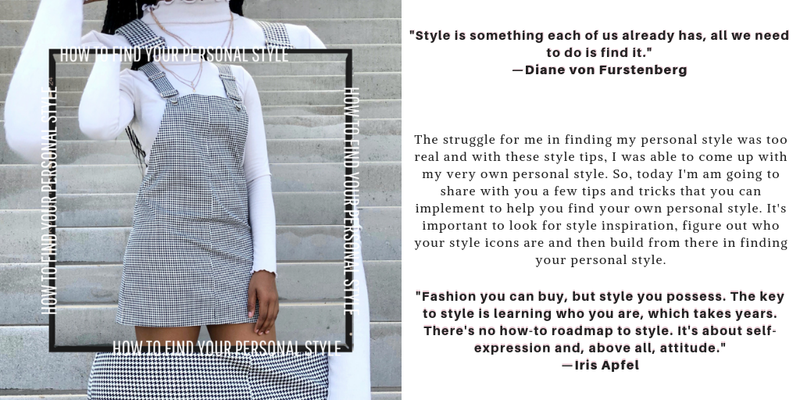 The best thing about exploring with personal styling of any fashion piece, trendy or classic, is that it can channel a certain vibe that varies amongst people. 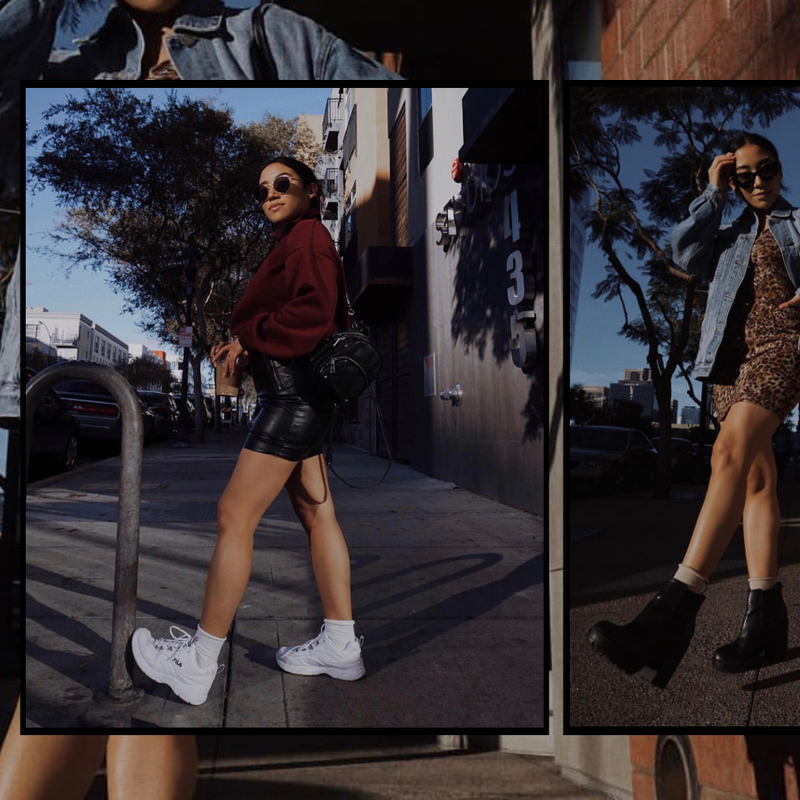 If you're one to stick to the classics, but down to style new trends Emily is your girl. Her style is a stylish mix of business chic and street style. Emily's layered look remains classic and on trend, which is the perfect source of inspiration you can use to gather style inspo from. While her style consists of a lot of classic neutral-tone pieces, there is always that one statement piece that she adds that gives her completed look an edge. In this case, you have the leather pants and the pinstripe blazer that add a subtle statement to complete the look. 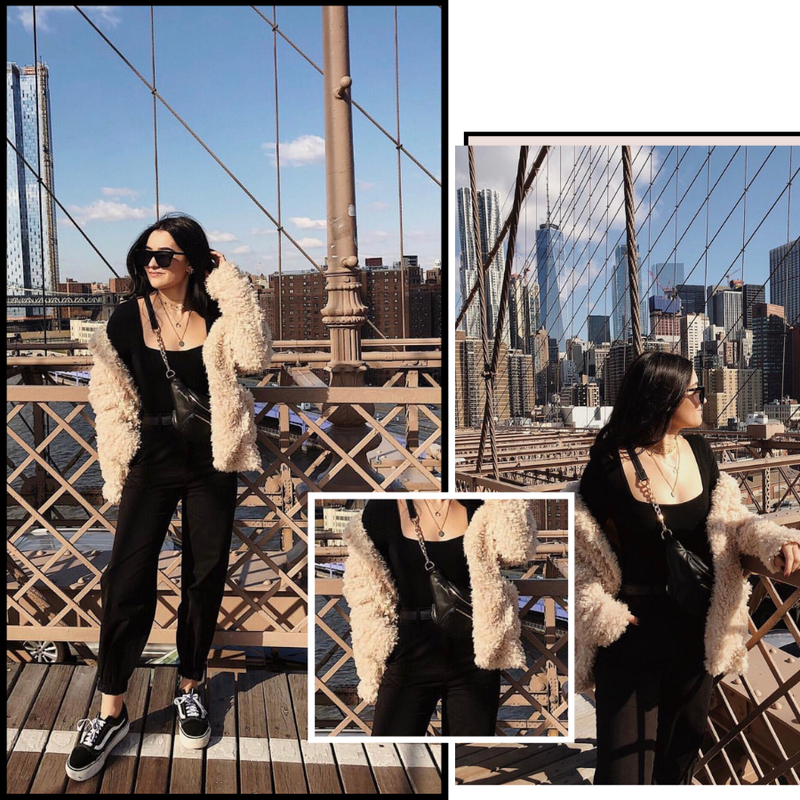 Ever-changing and fun, Natalie's headspace when it comes to personal styling demonstrates that fun that comes with exploring your personal style and the world of fashion. As expressed, accessorizing is a great way to play around with styling and is an essential way to amp up any outfit. The styling of her leather fanny pack as a statement piece in this look instantly adds a luxe-look to her outfit. 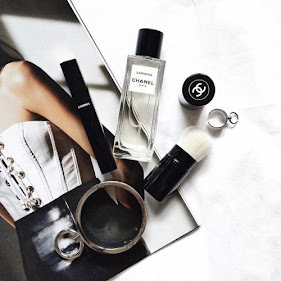 Every fashion girl tends to have an eye on different fashion and streetwear trends. Styling is what showcases your personal take on trends and classic pieces. Trend-driven but, unique — Kim's styling adds a luxe everyday look to popular fashion trends. Kim's styling also showcases you don't have to sacrifice comfort in creating chic looks. You can see in the styling of this everyday look, it remains elevated with luxe fashion pieces. Effortlessly cultivate elevated looks through the mix of luxe fabrics — Kim does this with the styled balance of knitwear, silk and leather fabrics. Hope you gathered some style inspiration you can use towards styling your next look! What is your favorite fashion trend to incorporate into your personal style? Let us know in the comments below.